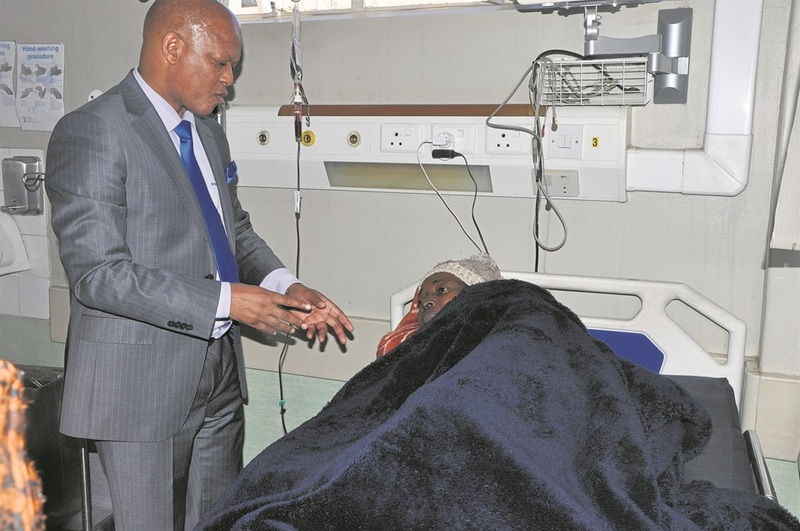 NORTH West Health MEC Magome Masike got more than he bargained for when he paid an unannounced visit to Job Shimankana Tabane Hospital in Rustenburg on Monday. Masike inspected the gynaecology, orthopaedic and surgical wards, as well as the waiting area. He was shocked to see patients sleeping on the floor because the hospital’s supply of beds was short. Masike said the hospital needed good leadership. “I fully appreciate the challenges the hospital has put to me, as well as the plans they have to solve these problems. He said the hospital used to run on a budget of R600 million, but its funding was reduced to R410 million. “You need money to buy medicine and pay the staff. “Sometimes more people can’t be employed because there isn’t enough money. The local health sector needs caring people. “You need people who will be responsive to the problems of the community. Masike said the department was developing facilities in the province.